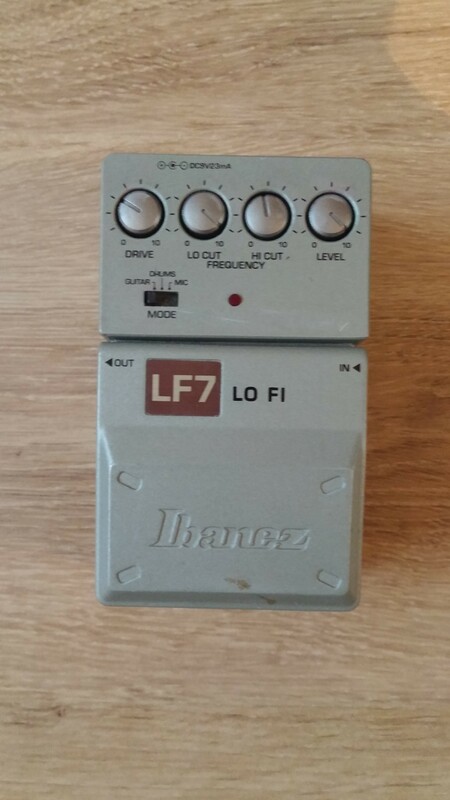 LF7 Lo-Fi, Wah-Wah/Auto Wah/Filter for Guitar from Ibanez in the 7 series. 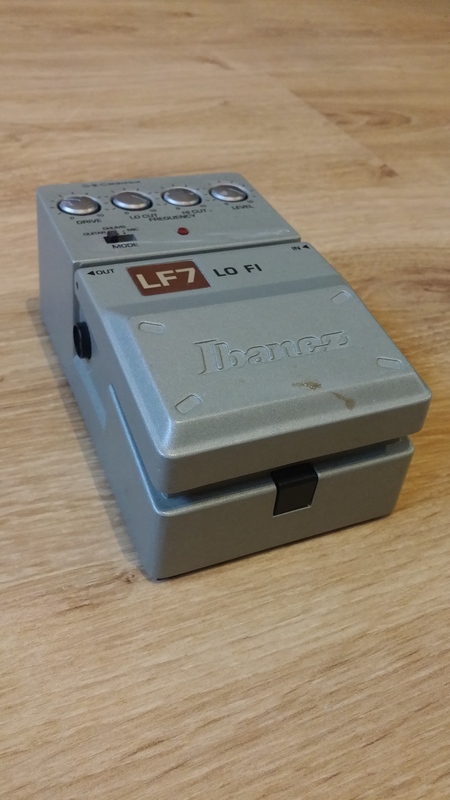 The Ibanez LF-7 Lo-Fi is an interesting pedal that I've used with electric guitar, but is suitable for a variety of applications. The pedal has 1/4 inch connections for input and output and can be powered up by either a nine volt power supply or battery. The LF-7 cannot be racked up since it is a stomp box. 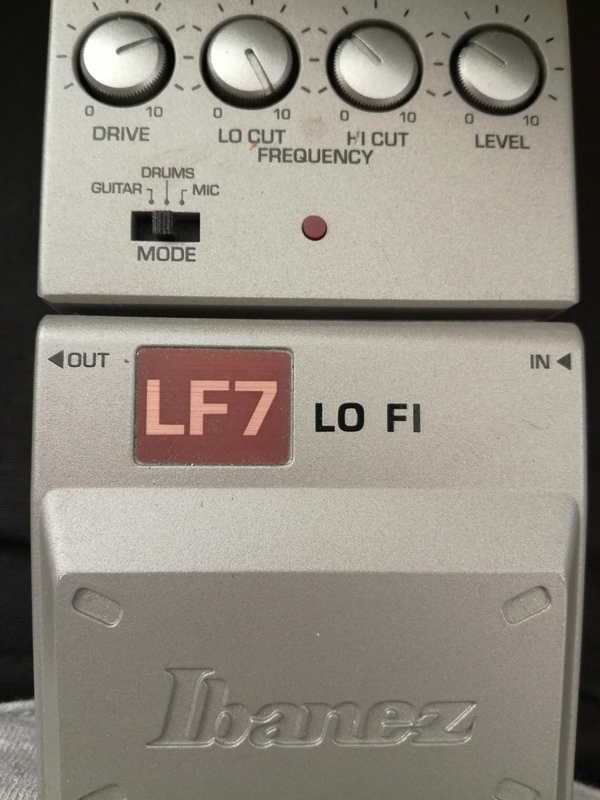 The make up of the Ibanez LF-7 Lo-Fi is generally quite easy to understand as the parameters are straight forward and there isn't anything too out of the ordinary here. The pedal has knobs for drive, lo cut, hi cut, level, and mode, which can be put on either guitar, drums, or mic. As you can probably tell just by looking at it, everything is pretty self explanatory and I don't believe that manual is needed for this reason. 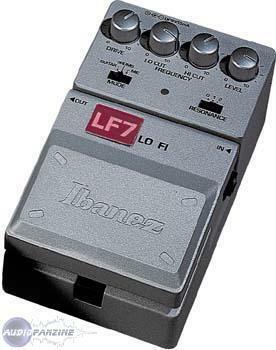 The Ibanez LF-7 Lo-Fi pedal is really just a glorified EQ pedal with some other helpful parameters. It cuts out certain frequencies which give it that 'lo-fi' type of sound. You do have control over these frequencies to a degree with the hi and lo cut parameters. As I mentioned before, I've only used the pedal with electric guitar, but judging by the available modes, the pedal is able to adapt to a few different applications. I do like 'lo-fing' my sound as much as the next guy, but I really don't feel like I need to have this pedal around to achieve this sort of sound. 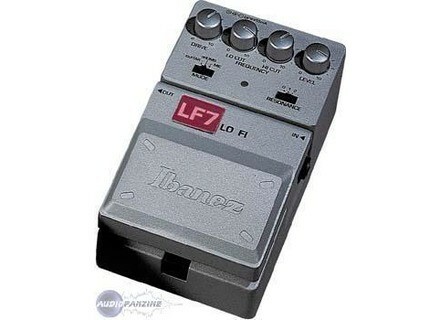 The Ibanez LF-7 Lo-Fi is a discontinued pedal as far as I know, but they are easily found if you want to get one used. I don't believe that this is a necessary pedal in any situation, but it does make it easy to get some lo-fi effects in a hurry. I think that I can get some pretty similar sounds by simply using the EQ on my amp or guitar, but this does provide more versatility for sure, and at a very cheap and reasonably priced. 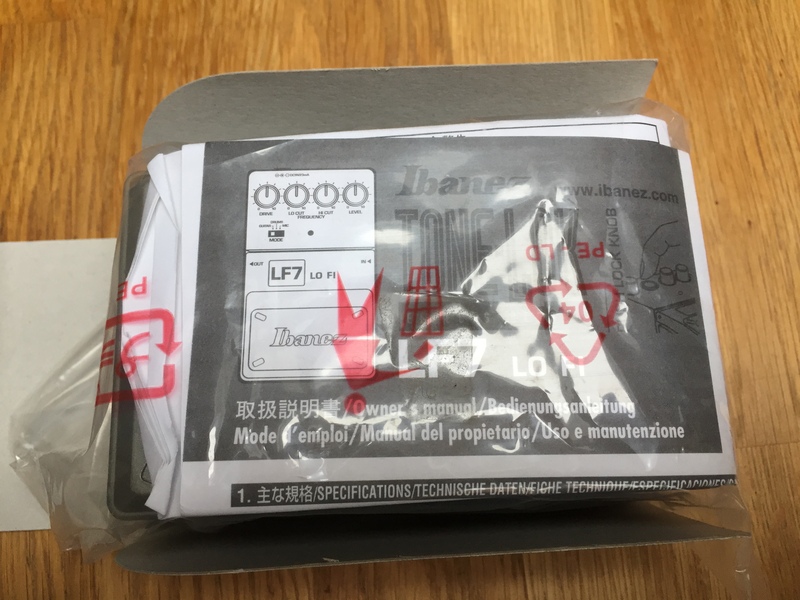 If you think you might be interested in a pedal of this nature, I'd recommend checking it out as you don't have too much to lose even if you buy it and decide it isn't for you. by careful against the models of okaz (c pr valid all ibanez "tone look"): the switch has a tendency to give up the ghost pretty quickly! IT CAN BE USED is rather simple, just Drout to beginners because when you turn the knobs to the right are cut frquences unlike equalizer parameter. A user tells us we can use it as Tubescreamer overdrive ... why not, but that's the story of the booster, will only dpanner. Chaining: place preferences in the effects loop in the chain beginners. With the pedals so you'll sound radio, softphone (not the group eh ...) or to mgaphone (by pushing the gain). In fact you sometimes seems to replay your first amp 10W. The effect is made trsraliste. The sound is reflected rtrcit, Reduces your HP! I often use the intro of this kind elsewhere, and that disables my ds distortion arises and it left my kiki! I have no complaints ... him ah it would be more convincing if it had a more typical the rendering as relatively neutral. It is thus a good job, she did not direct competitor of relement, part may be the equalizer, but it has its own well and its exclusive use.